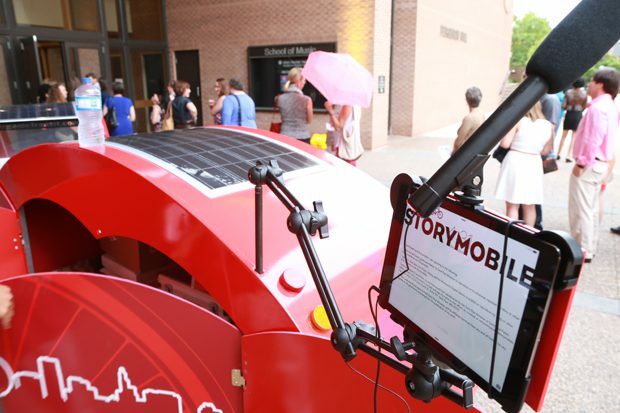 Storymobile is a moveable community engagement space that makes it easy to share, display, collect, and generate your stories. 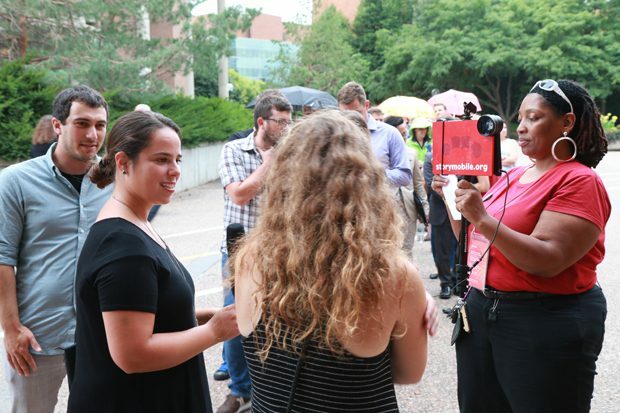 Share, Display, and Preserve what matters to you at Storymobile, an invention of the Saint Paul Almanac. 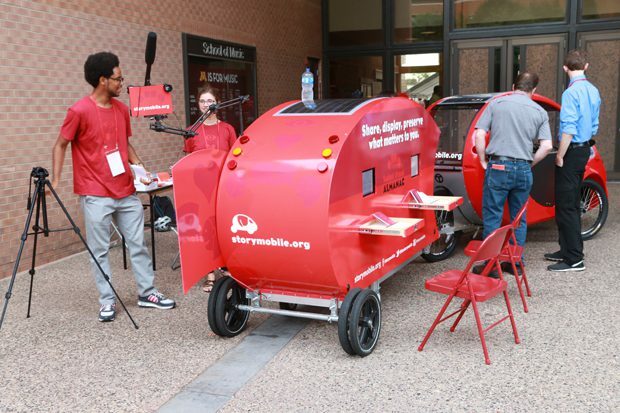 This solar-powered roving art space travels behind a bicycle with ready tools-iPads, cameras, microphones, amps, and keyboards, as well as good old paper and pencil-to share and record your stories directly on the street. You can perform your spoken word pieces and have them recorded. 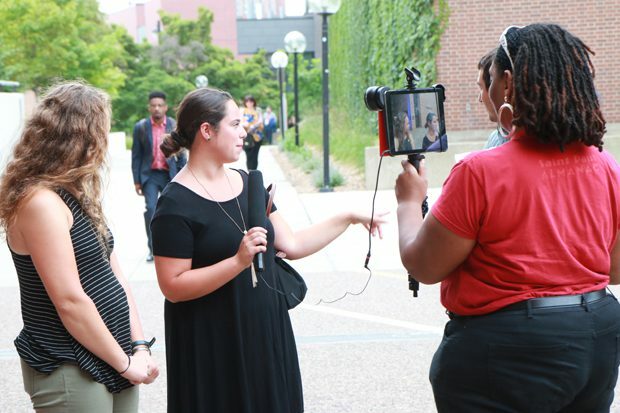 You can share a story on camera, type your story, or handwrite your story. We email your story created in any of these forms to you. And we archive these stories as a memory of the experience. 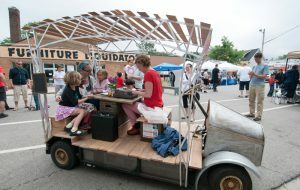 The Storymobile, reminiscent of kiosks near train stations in the early part of the twentieth century, is a place to gather in community to create, perform, work, and exchange ideas across generations and cultures. Standard Neighborhood Event Rate: $1500 for 2 hours. 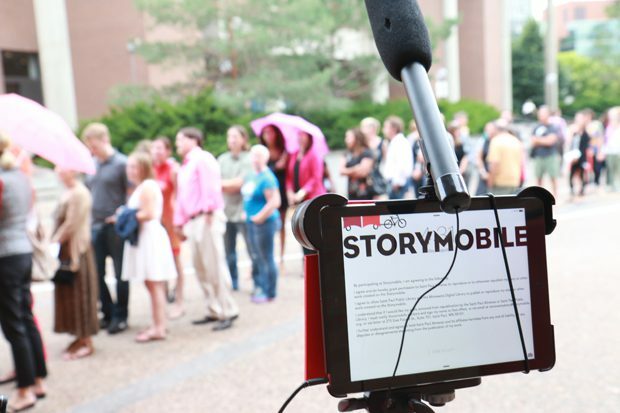 -Storymobile arrives at your event and sets up. -For two hours we record stories. Professional writers and teachers work one-on-one helping people share their stories. Stories are filmed, typed, and handwritten. -Within five days we deliver to you in Dropbox an archive of all the stories we collected at your event. 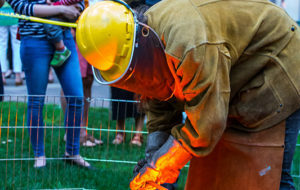 -Stories can also be archived in the Minnesota Digital Public Library’s permanent collection as a record of the event for future generations. -For three hours we record stories. Professional writers and teachers work one-on-one helping people share their stories. Stories are filmed, typed, and handwritten. Have a question you want to ask all your attendees? We can ask each of them. -We also take and give out Polaroids! 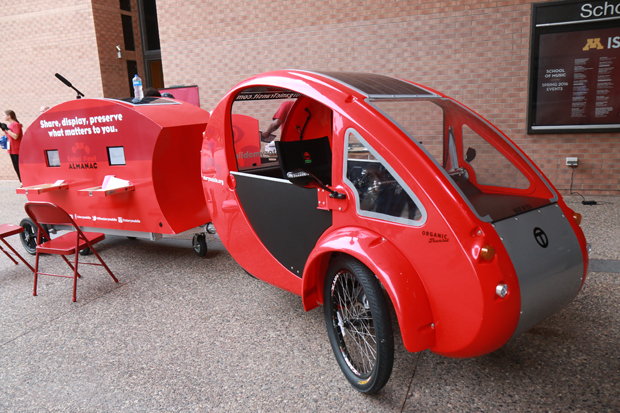 Fits through double door, on a bike trailer (can go on car trailer for locations further afield). 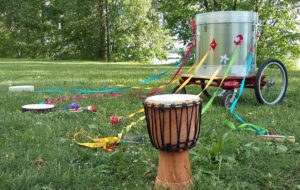 The Storymobile is based in St Paul, please be in touch to determine our availability for your location.